Quality built, tastefully finished & great location! This 2,700 sq/ft home offers 4 bedrooms, 2.5 baths w/hardwood & tile flooring throughout the main floor. Spacious foyer, formal dining room & stunning chefs kitchen w/maple cabinets, oversized island w/quartz counter & extended breakfast bar plus tile backsplash, under cabinet lighting, pots & pans drawers, pantry & stainless appliances including WOLF gas range. Large pillars separate the kitchen from the living room w/dramatic vaulted ceiling, large windows & pot lighting. Main floor laundry/mud room to double garage. The hardwood staircase leads to 4 spacious bedrooms, main bath & stunning master w/hardwood floors, vaulted ceiling, walk-in closet & luxurious 5 piece ensuite w/tile & glass shower and separate soaker tub. Fully fenced yard w/deck, concrete patio & storage shed. Central air, HRV, on-demand hot water & much more! 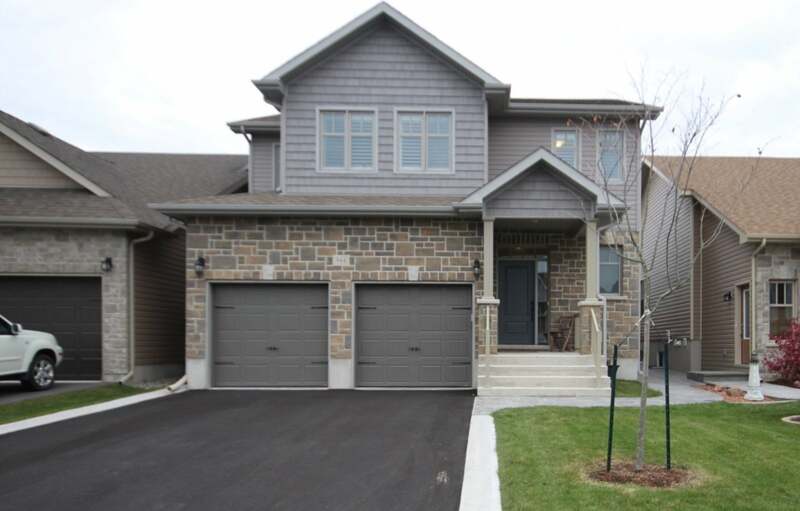 Steps to Bert Meunier Park & splash pad and minutes to all west end amenities. An absolute pleasure to show. Lot Size 38.05ft x 98.78ft Sq. Ft.